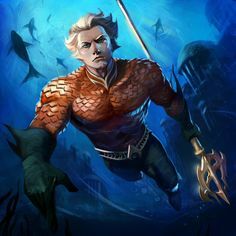 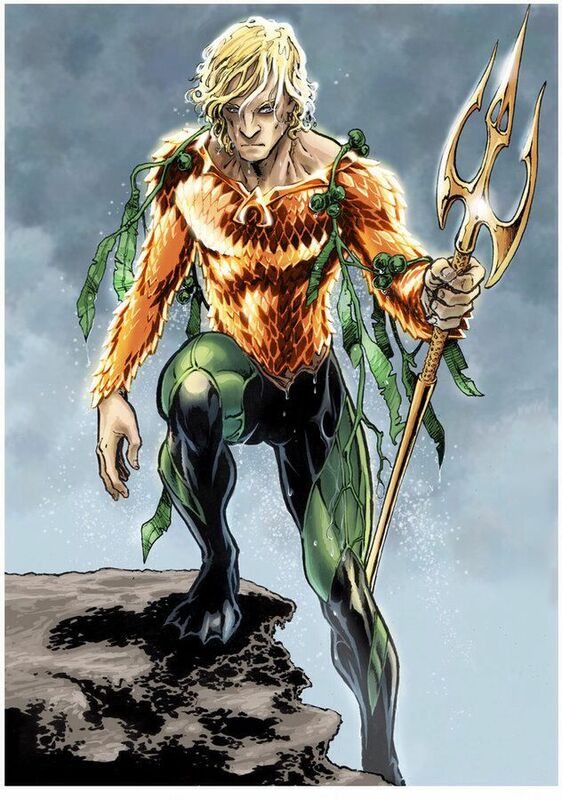 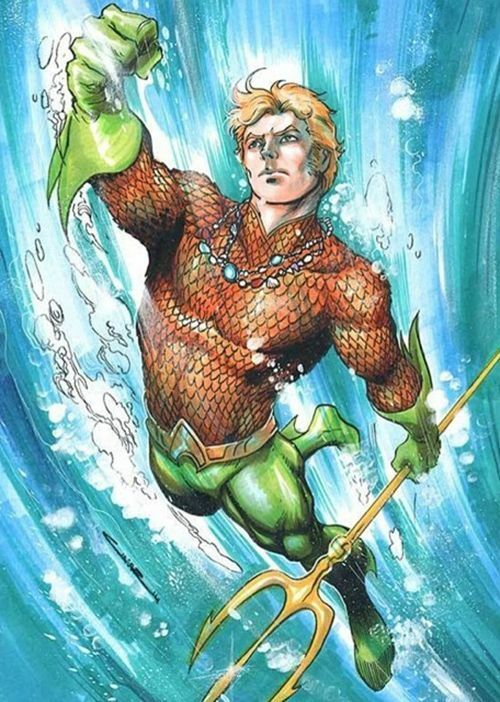 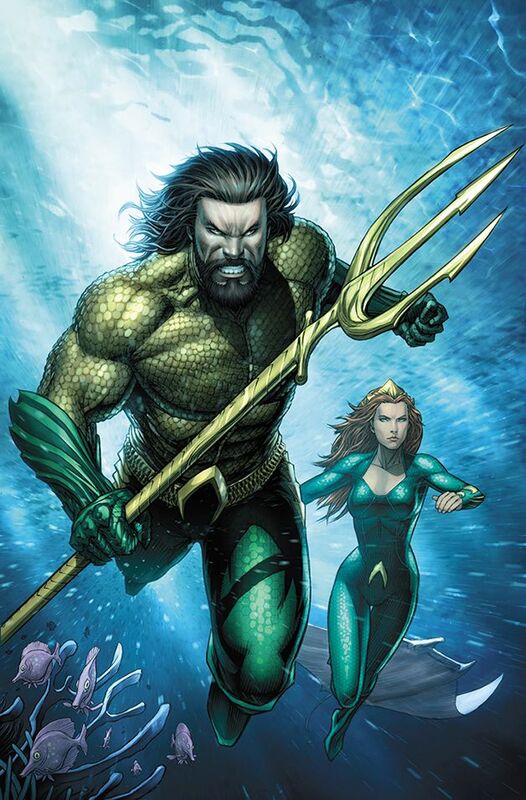 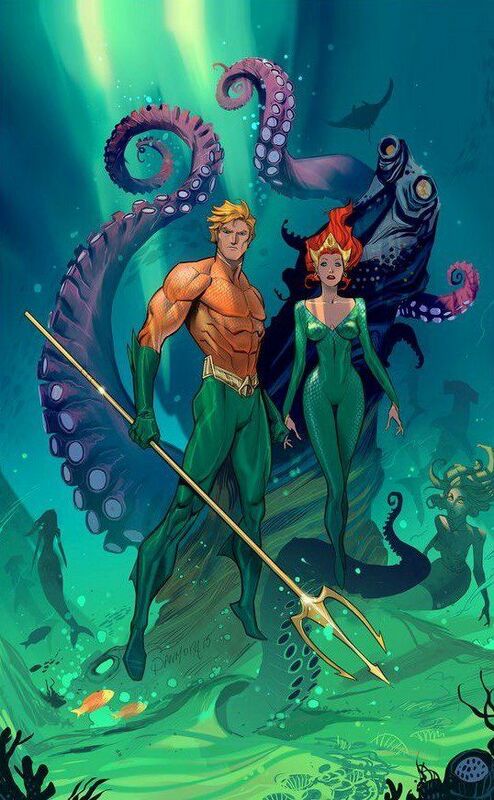 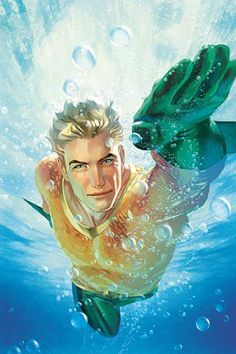 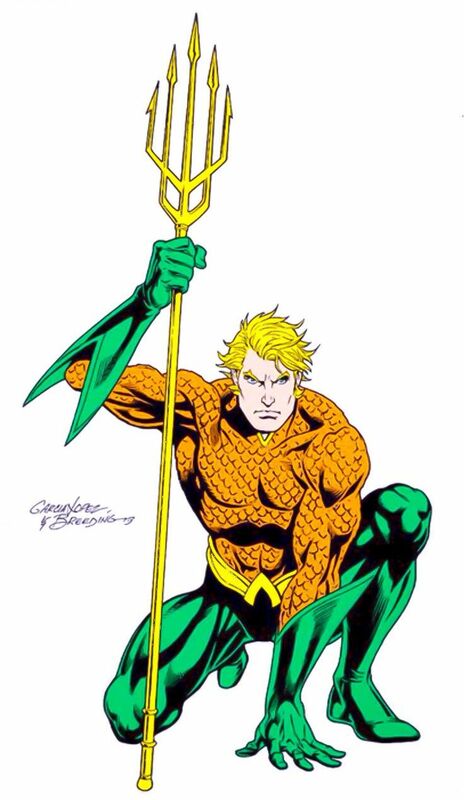 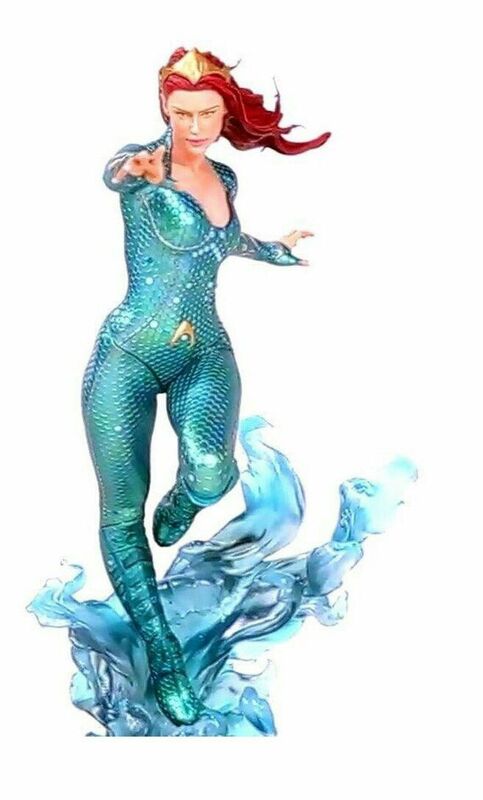 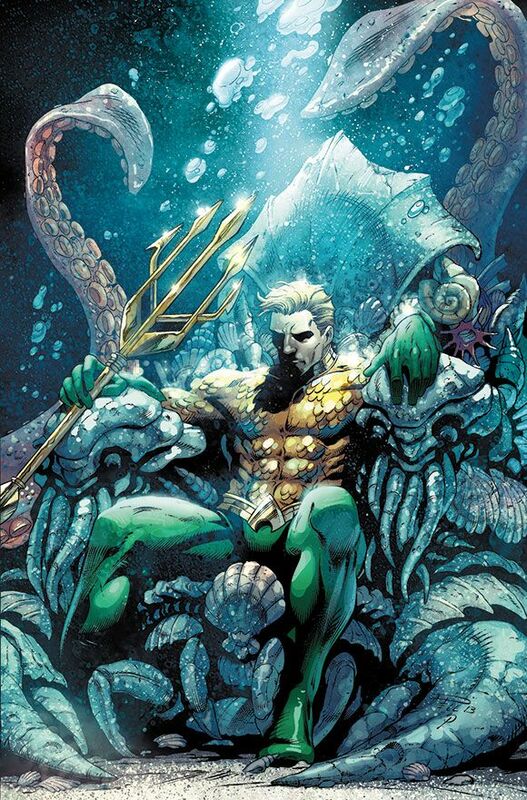 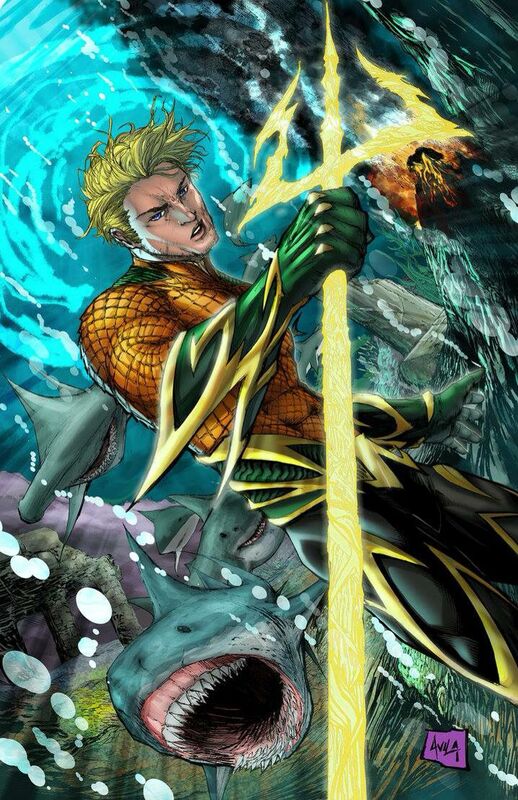 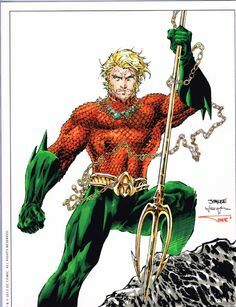 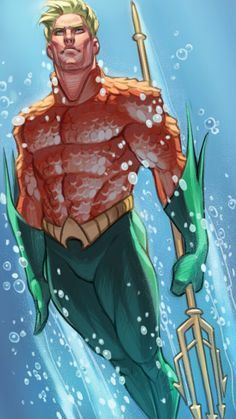 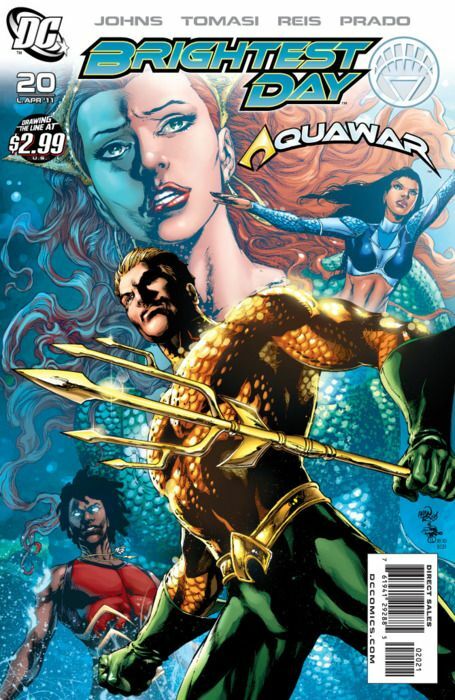 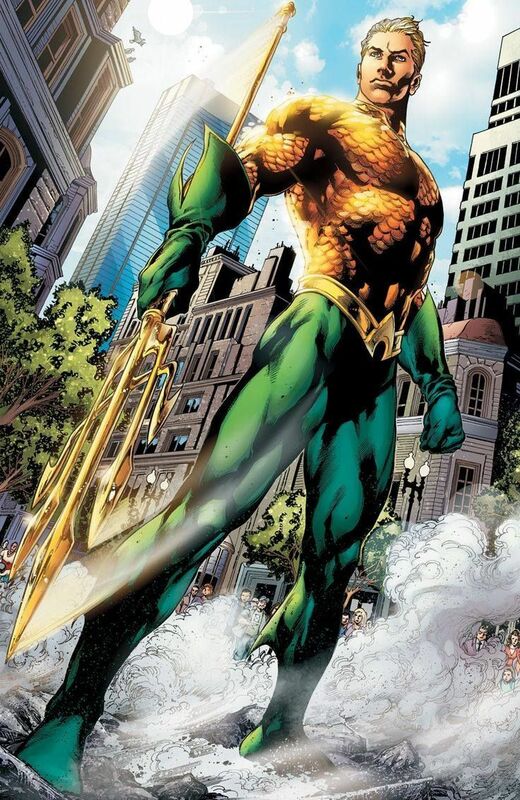 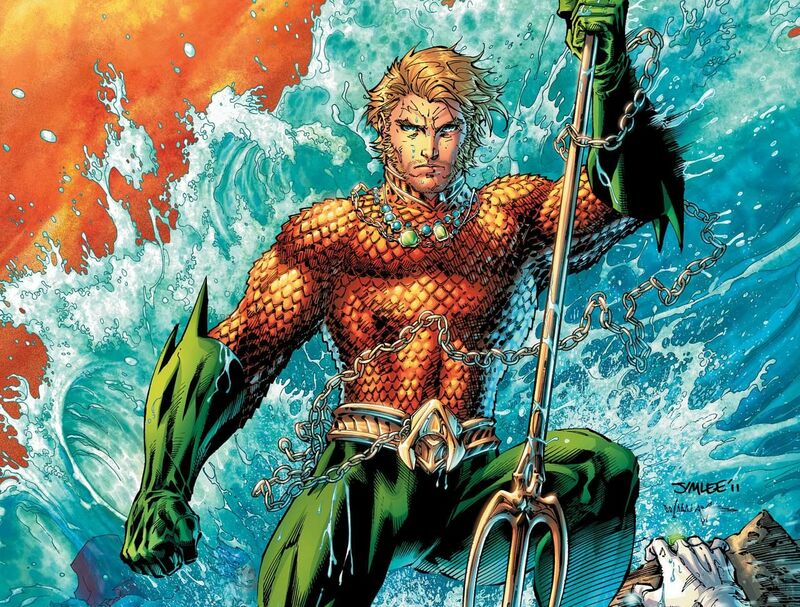 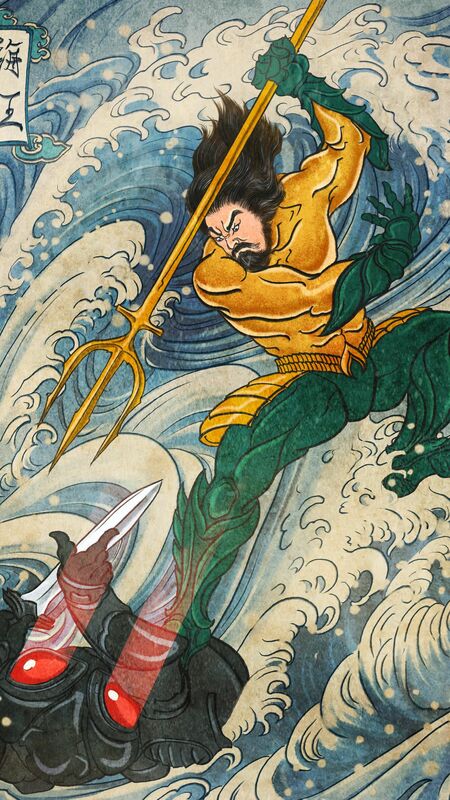 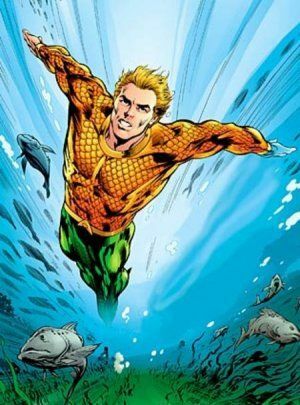 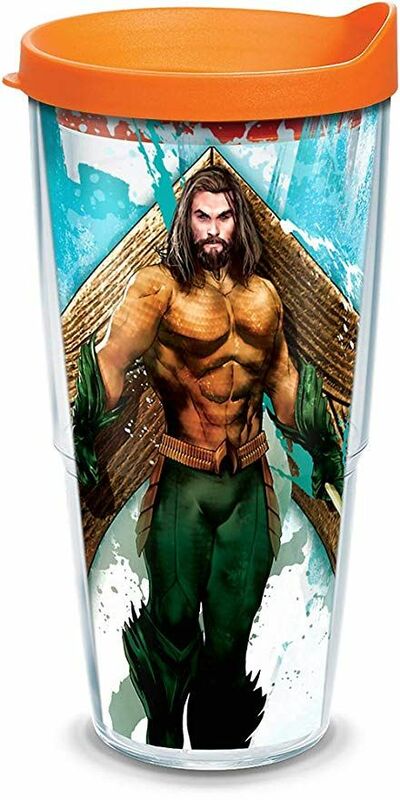 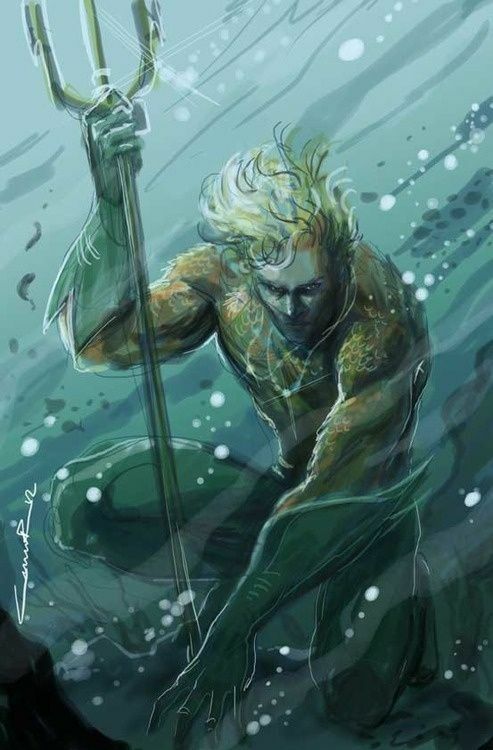 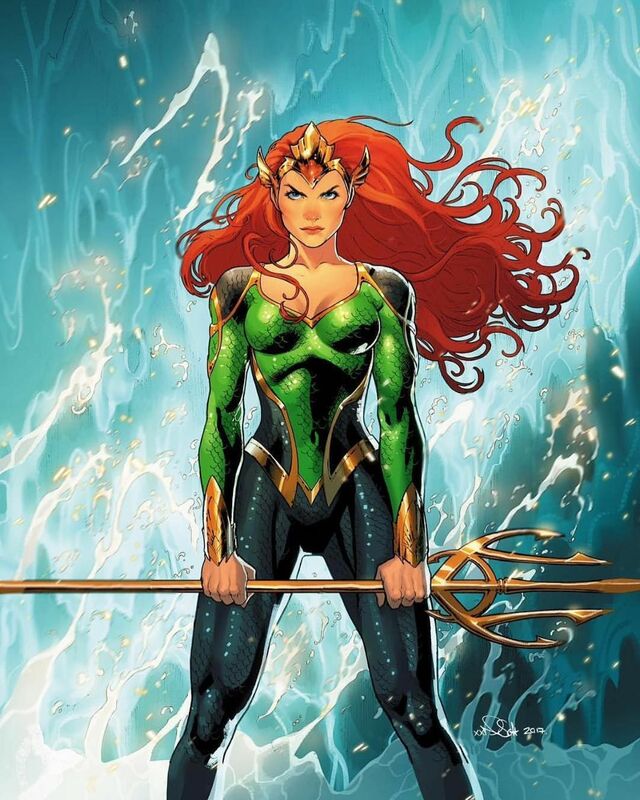 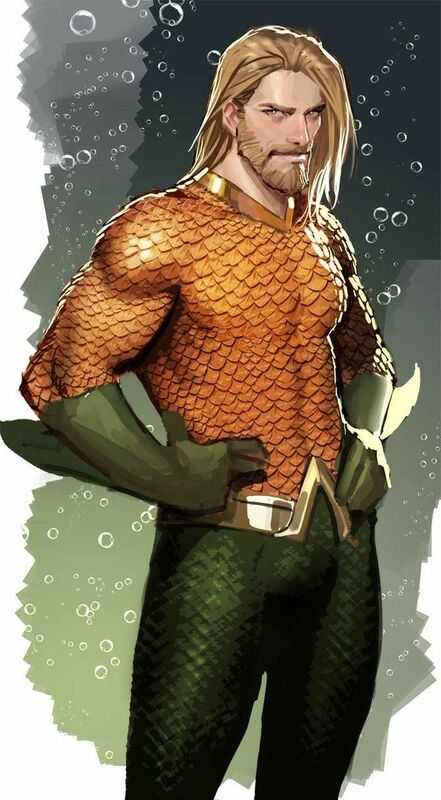 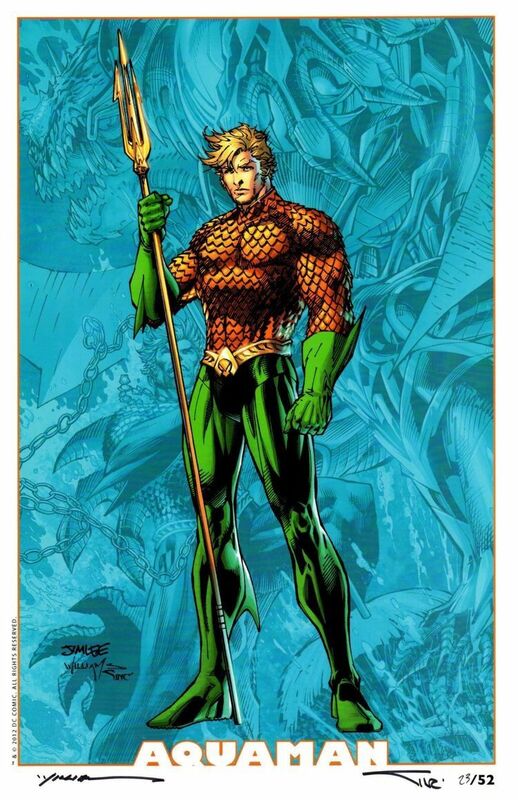 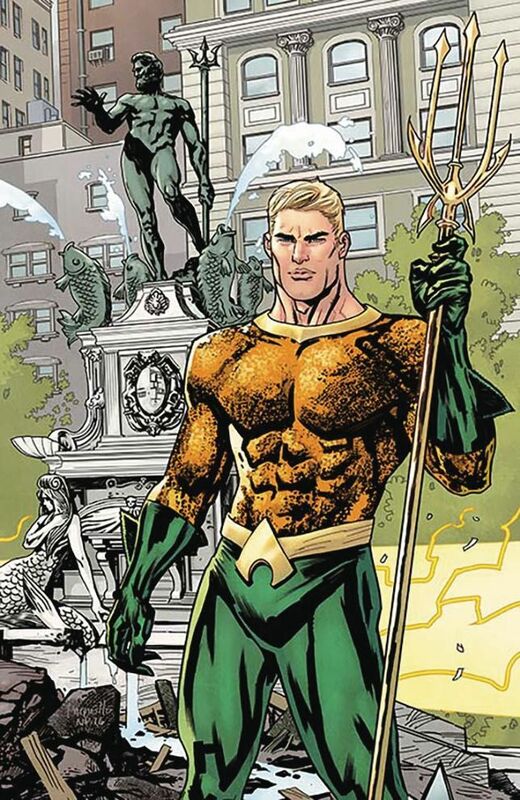 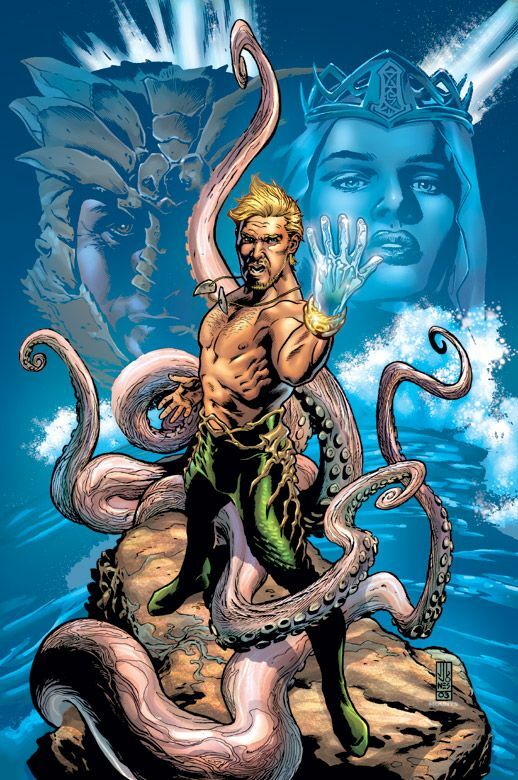 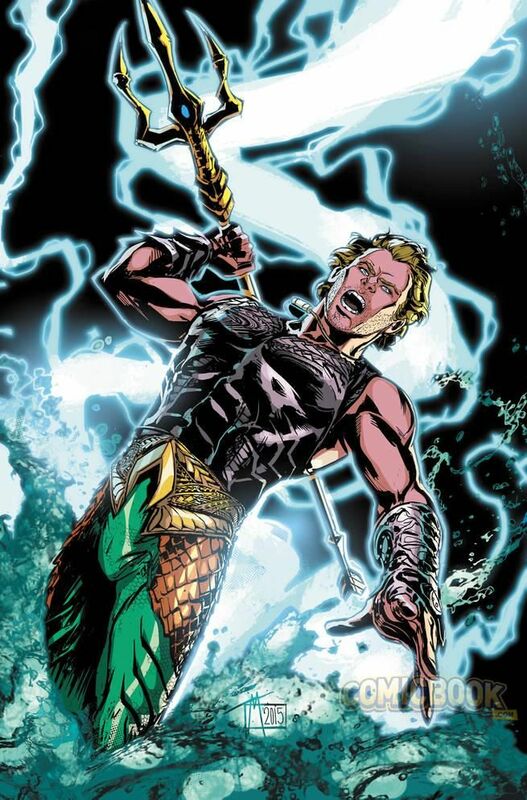 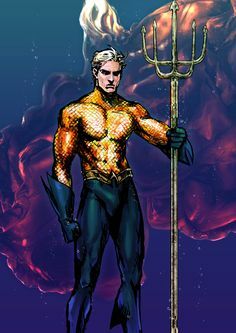 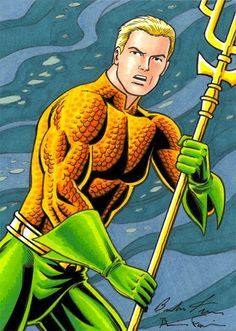 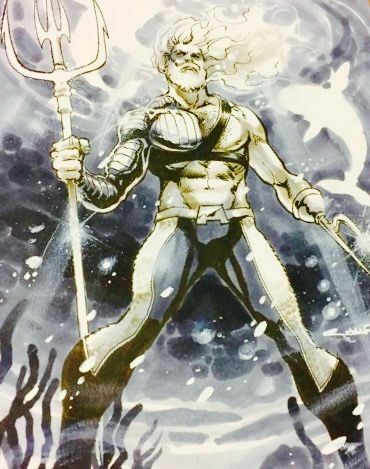 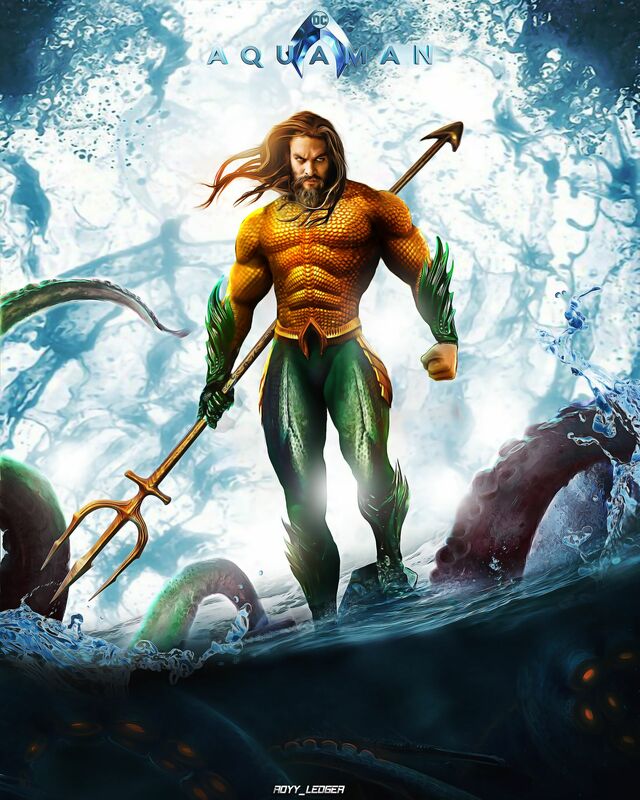 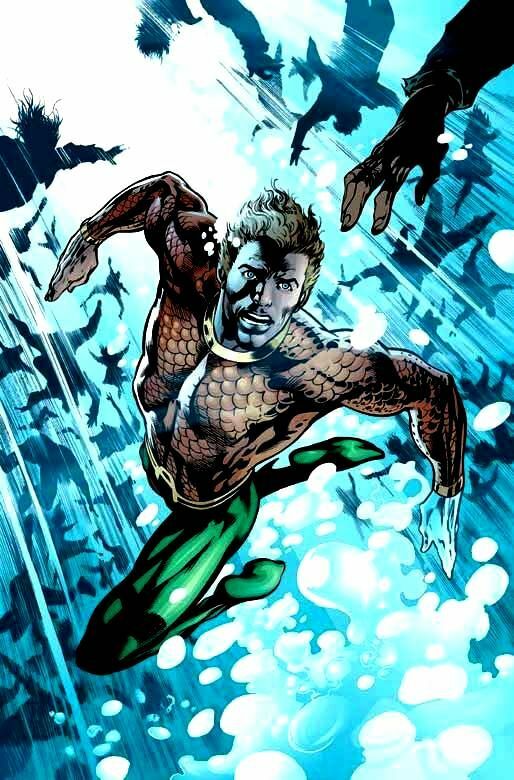 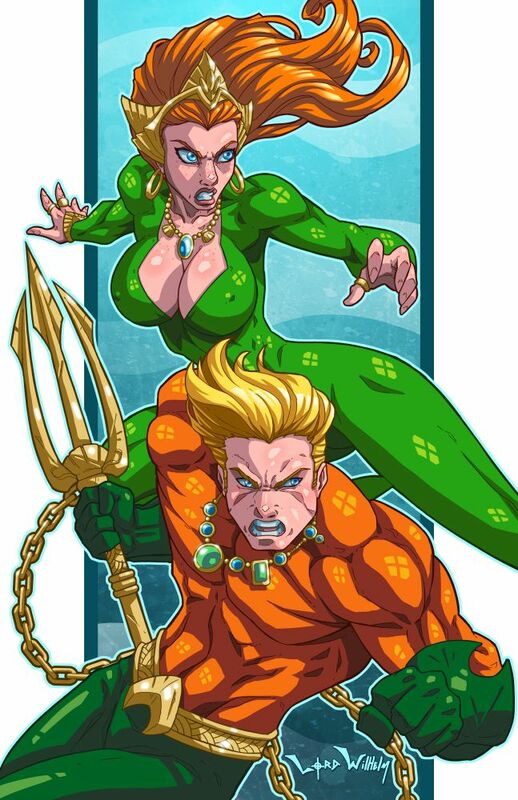 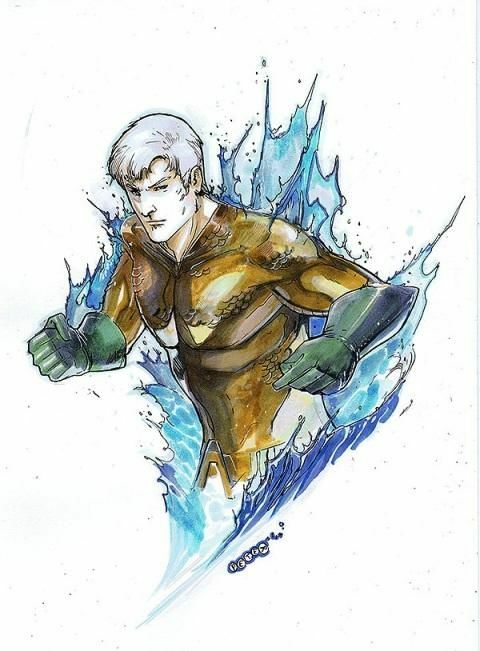 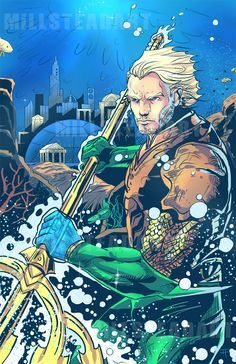 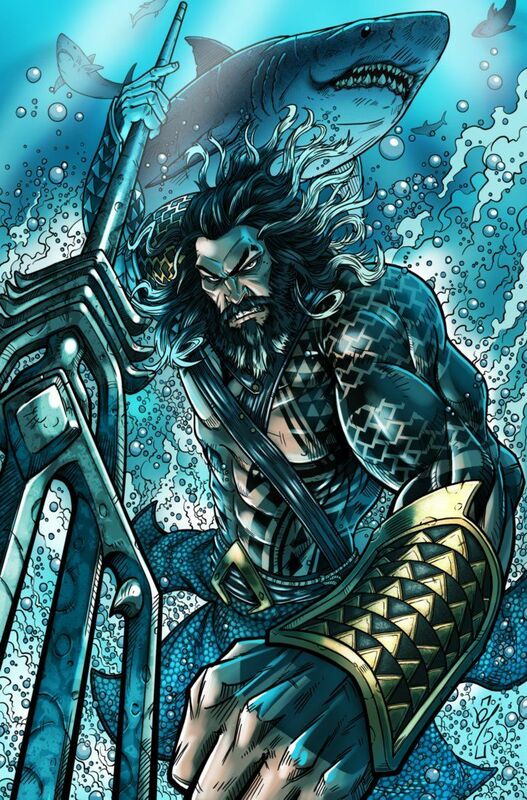 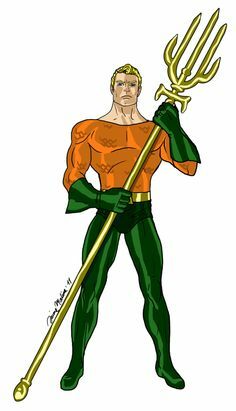 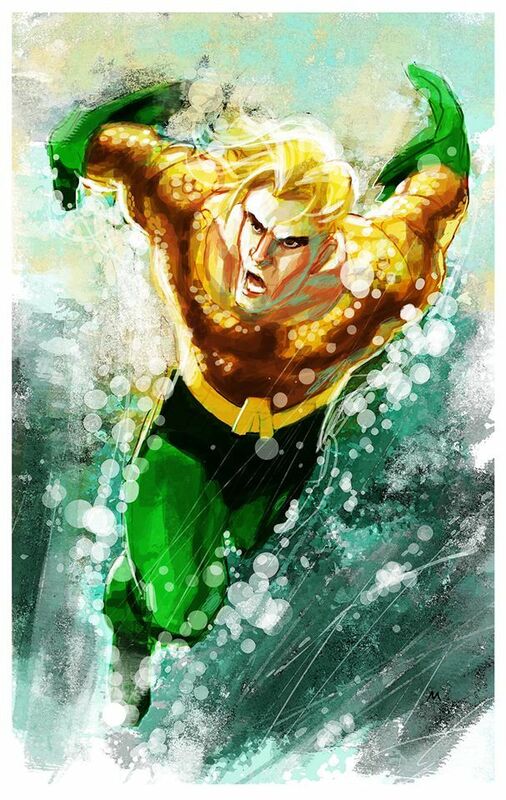 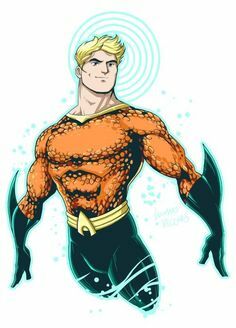 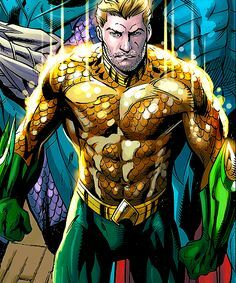 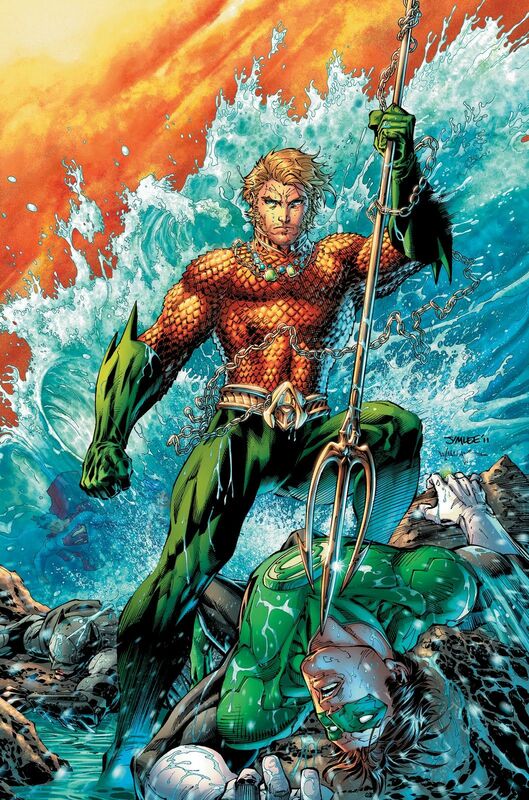 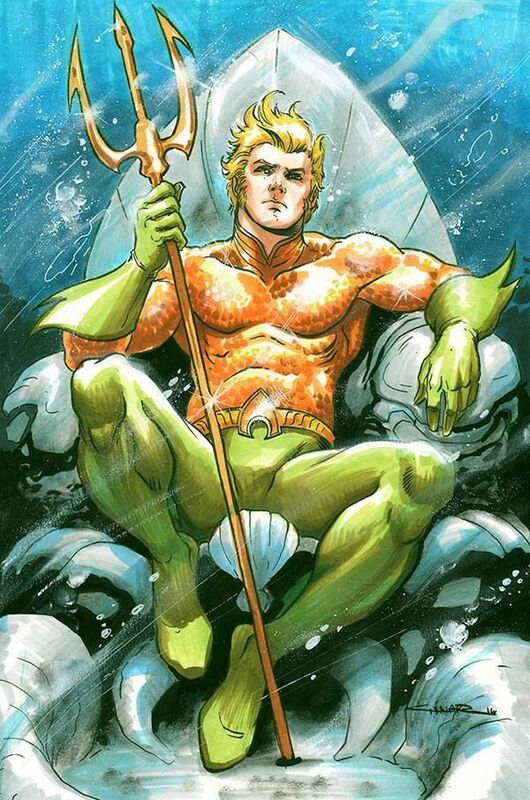 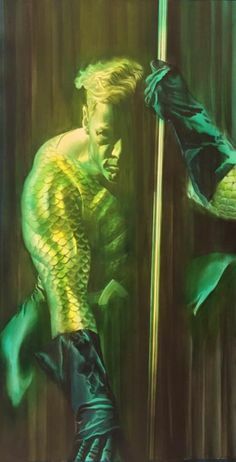 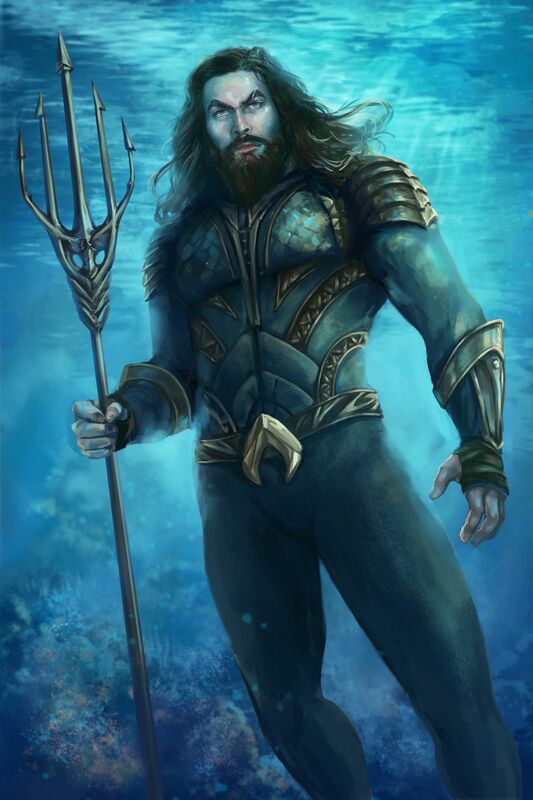 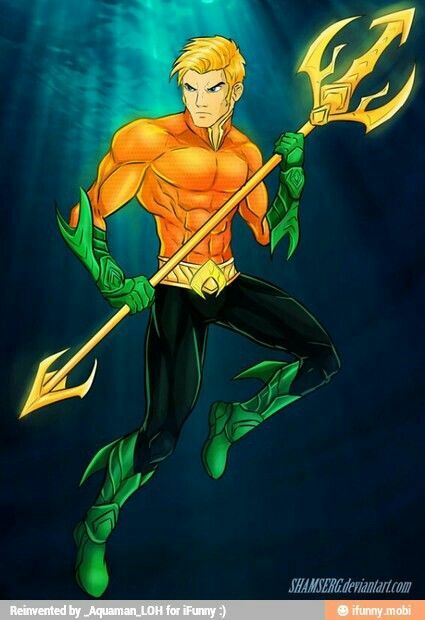 DC Comics' Aquaman in his traditional costume. 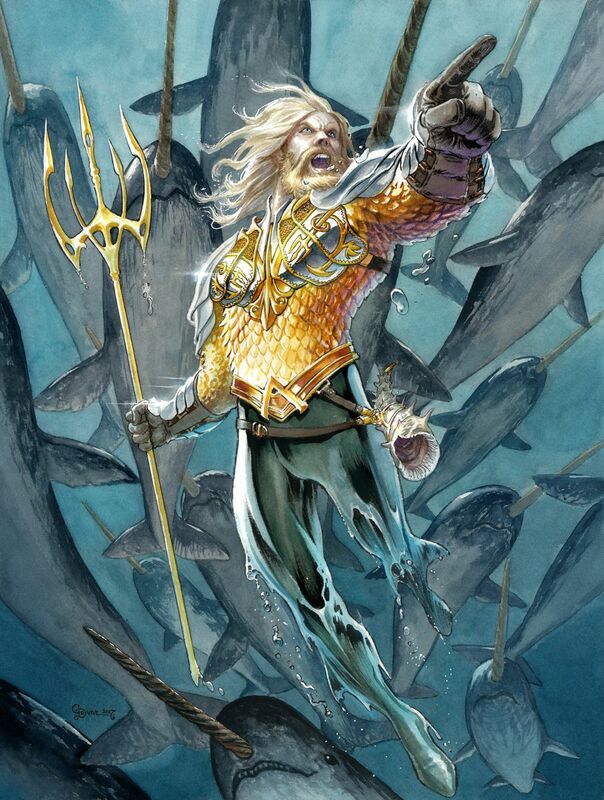 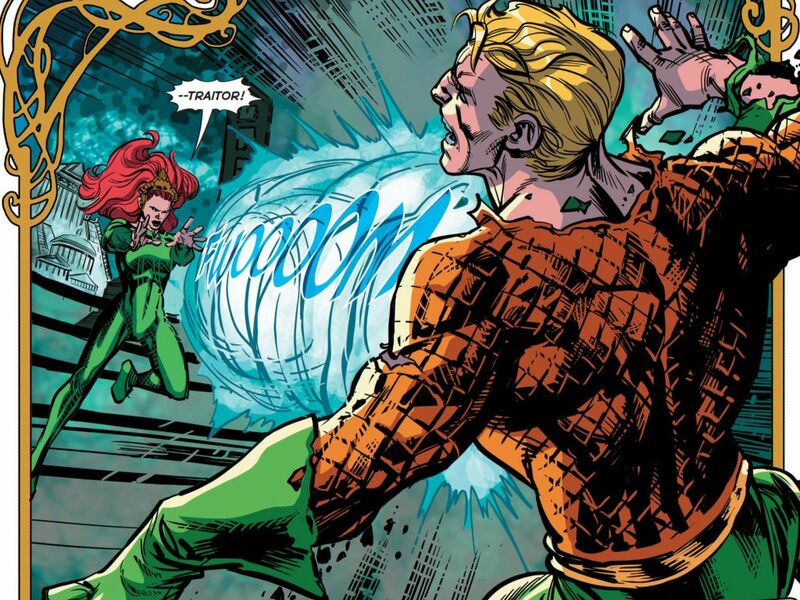 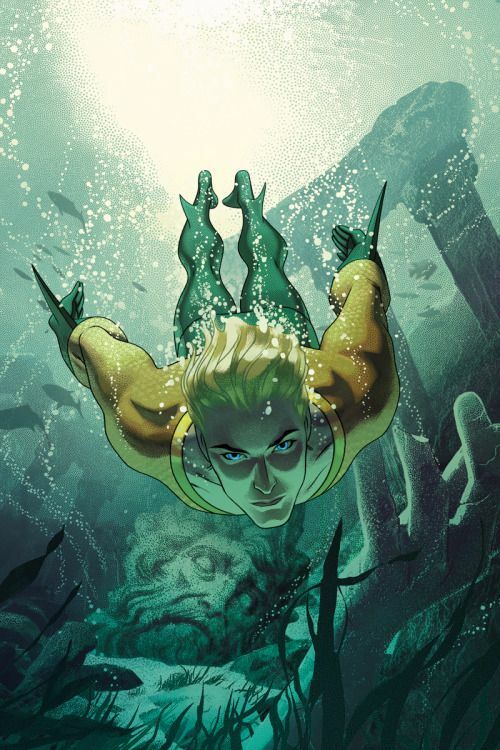 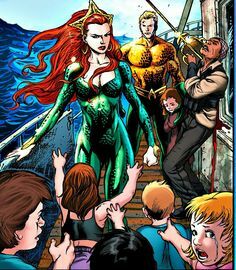 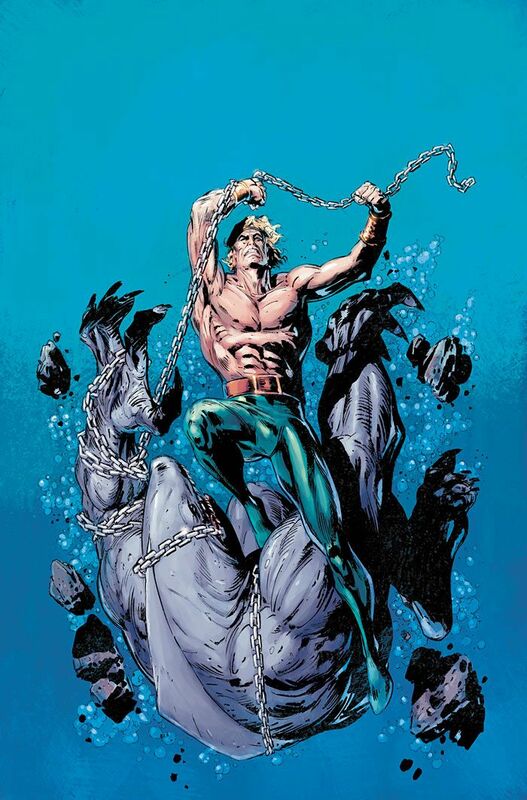 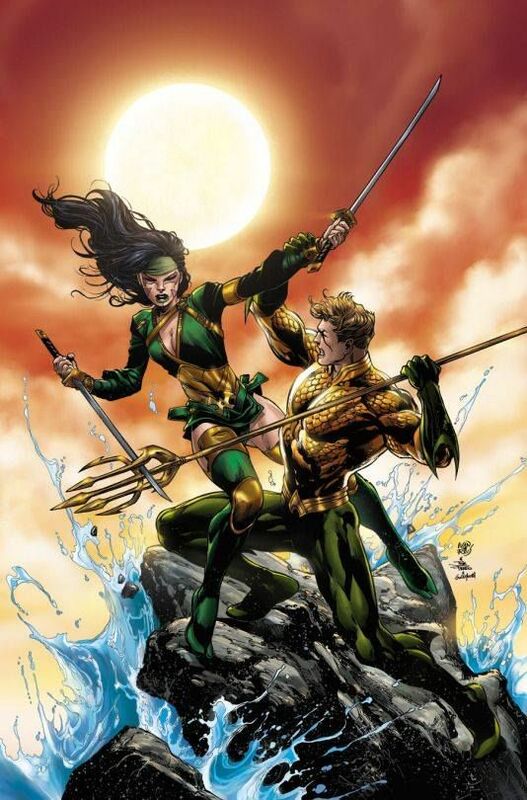 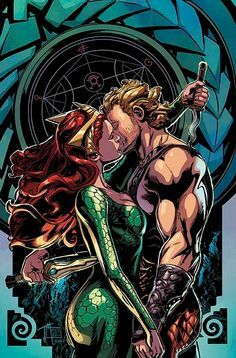 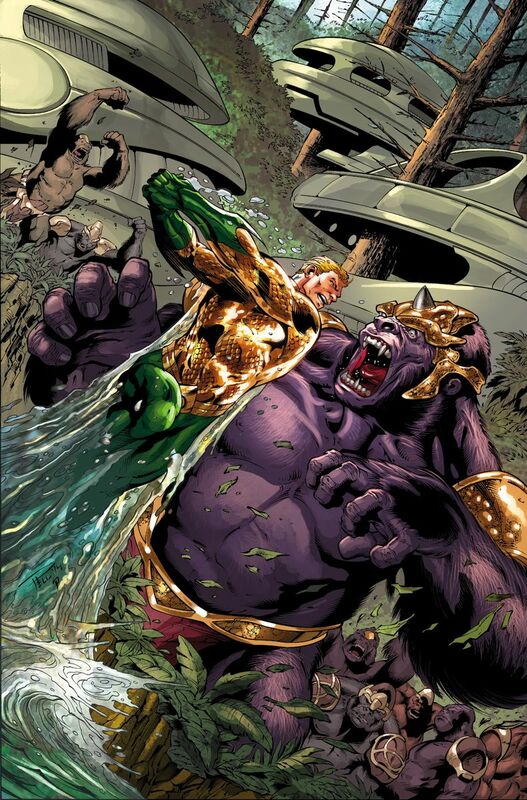 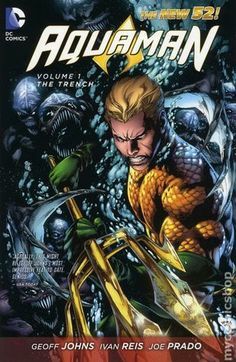 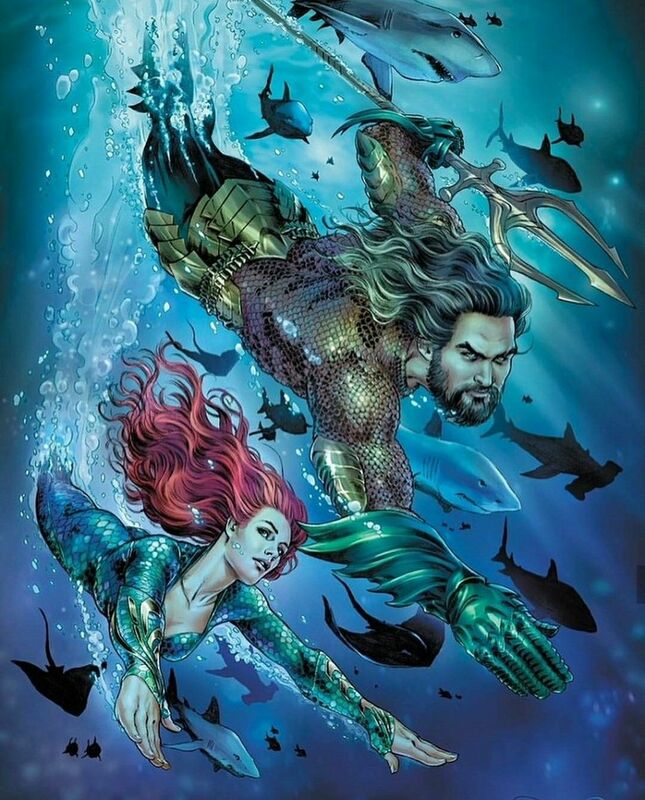 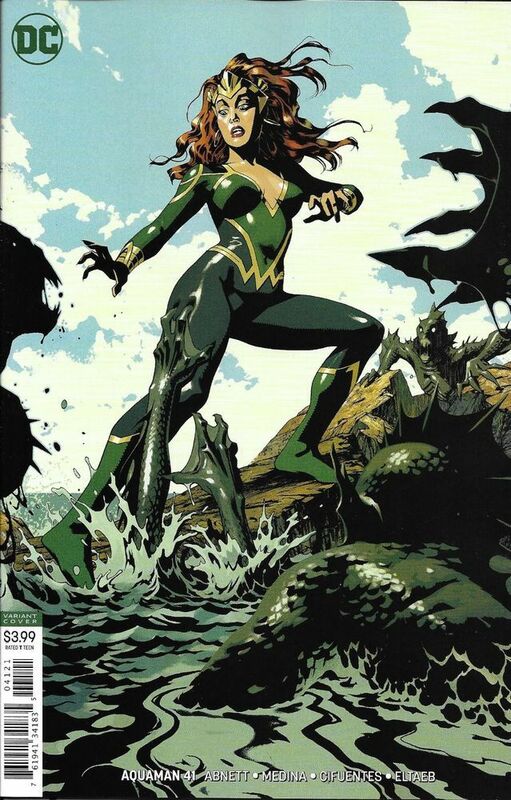 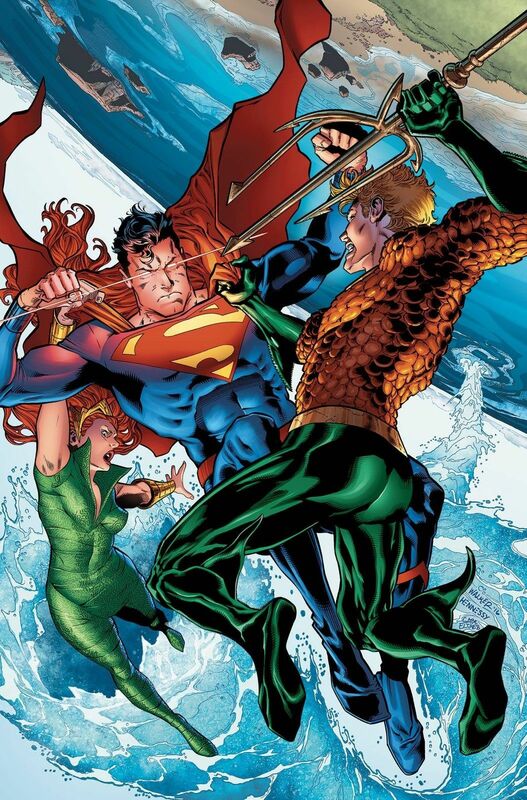 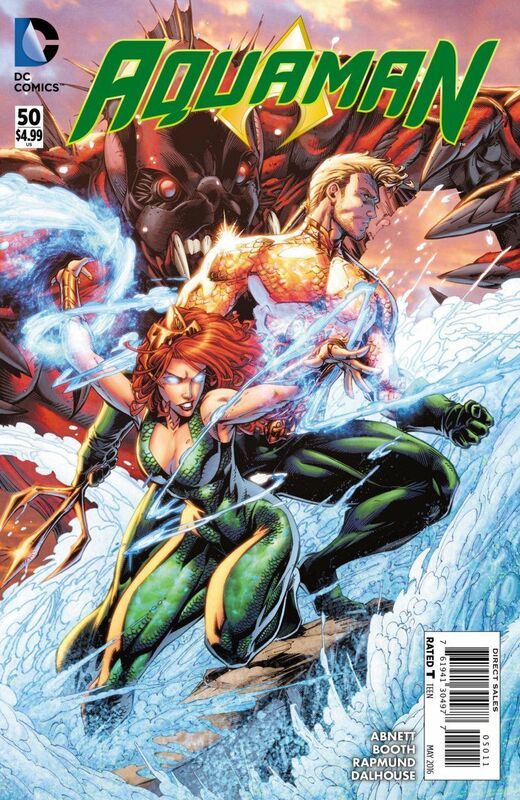 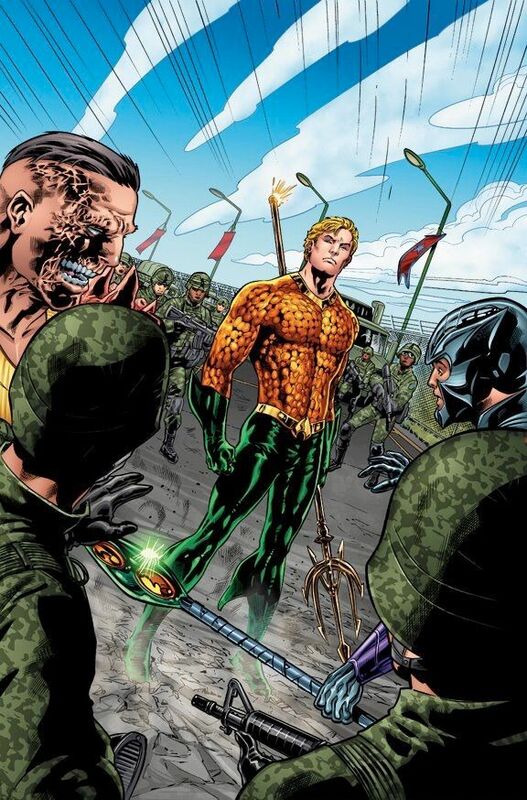 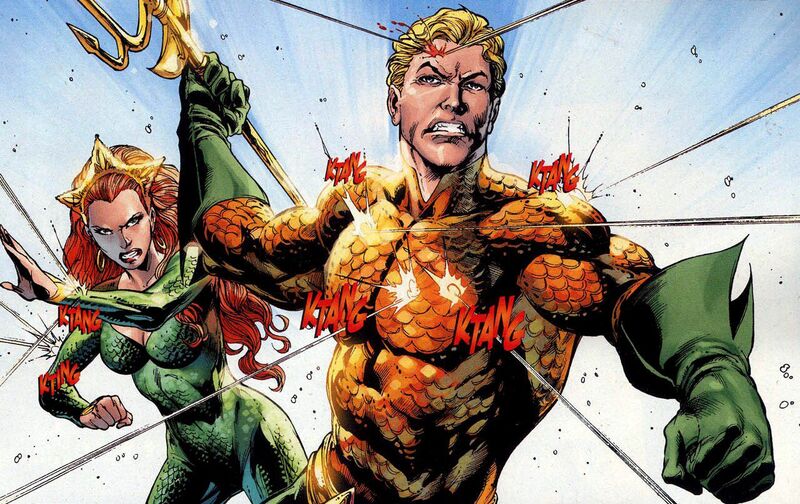 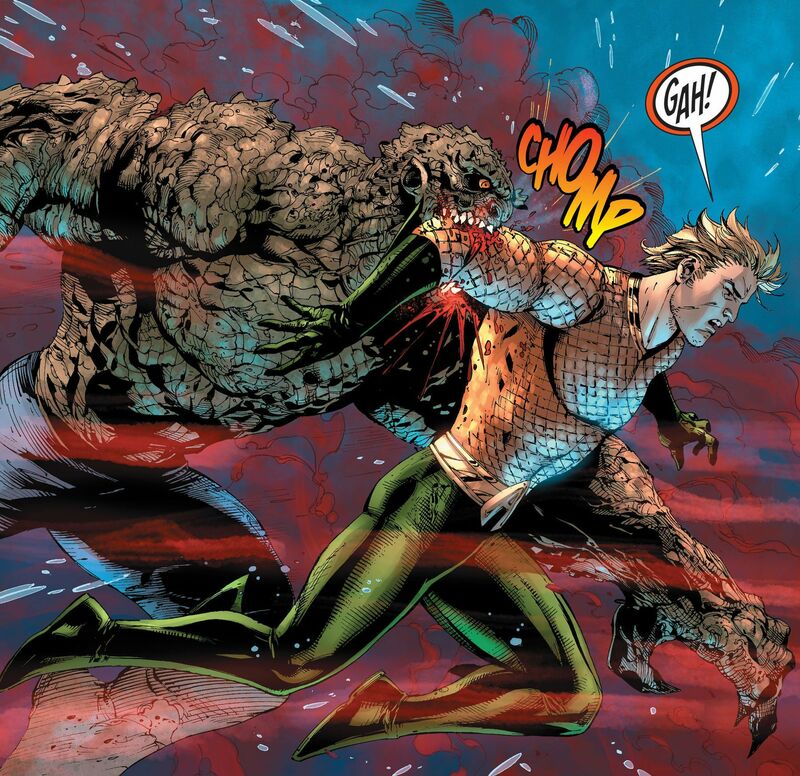 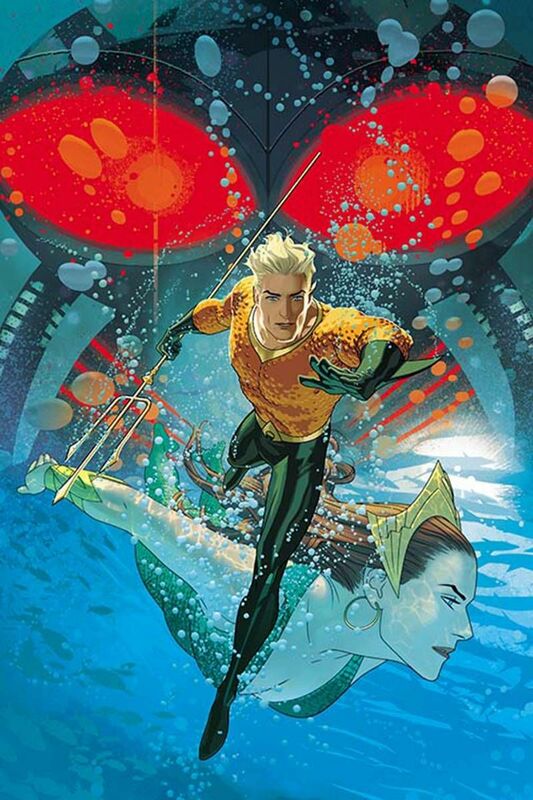 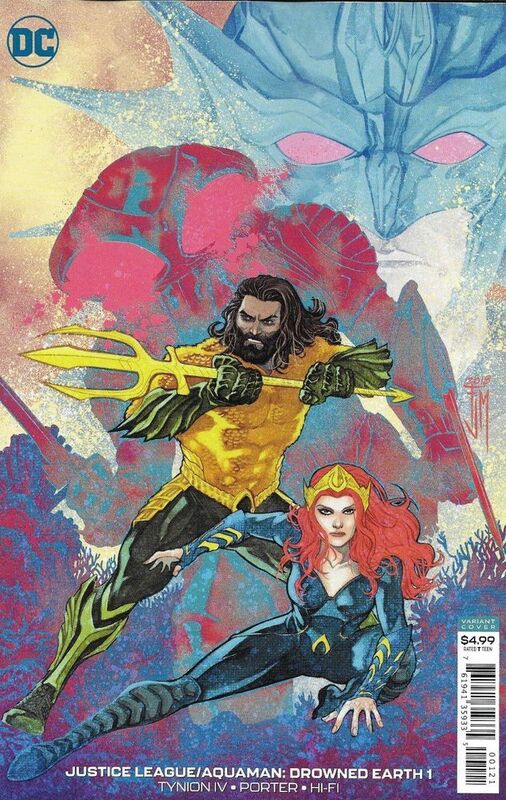 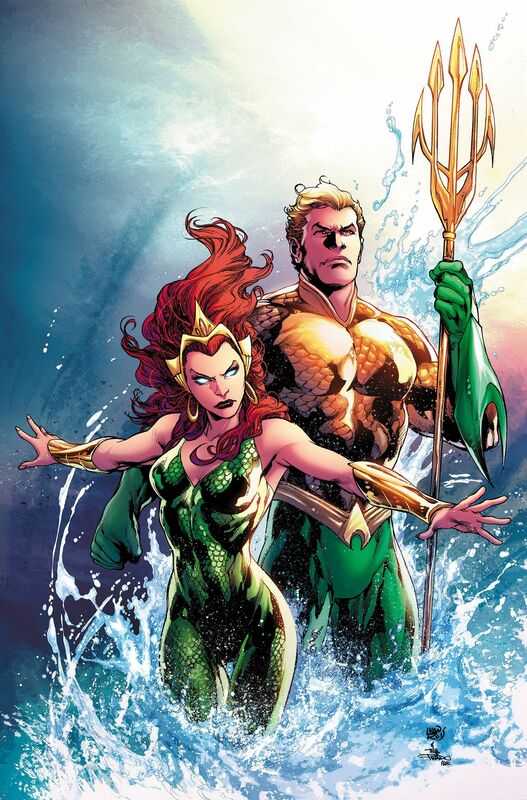 #Aquaman #18 Return of the King? 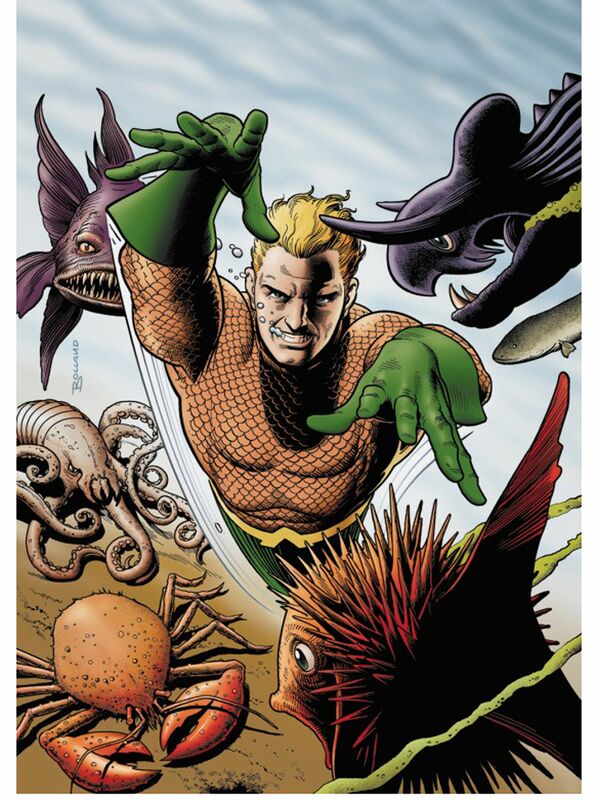 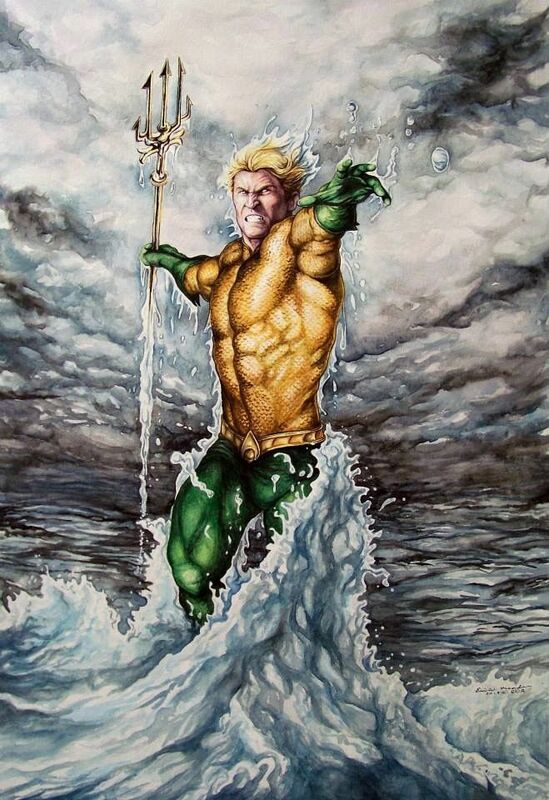 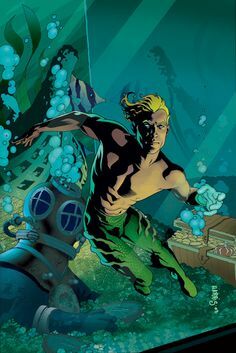 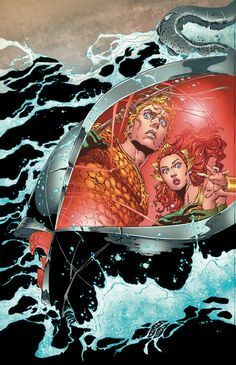 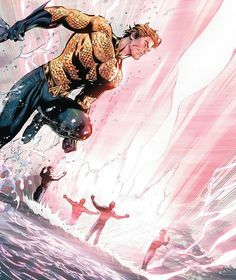 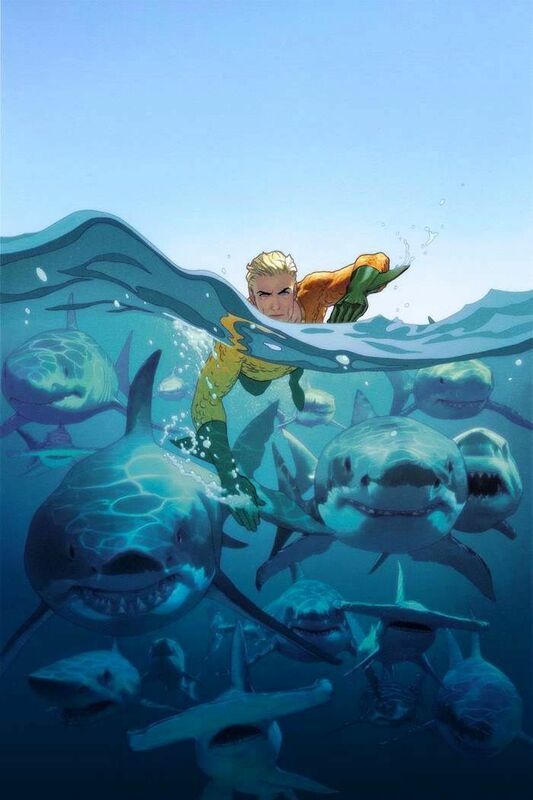 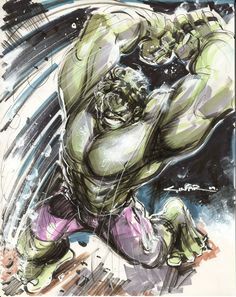 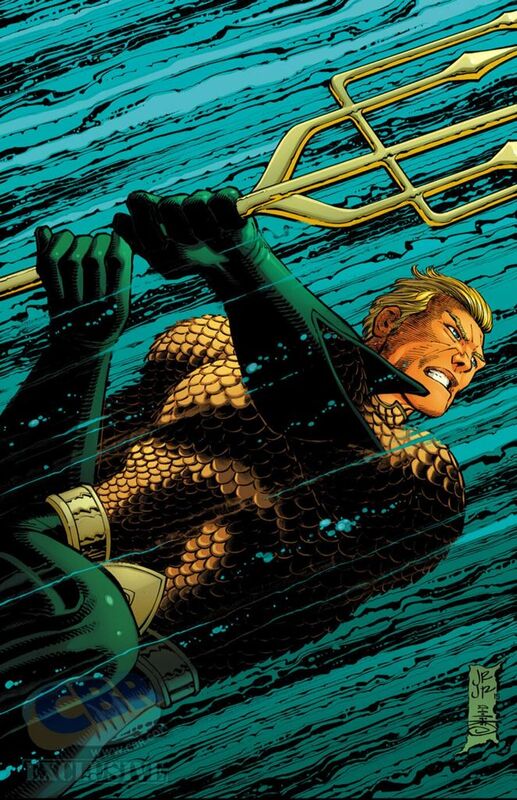 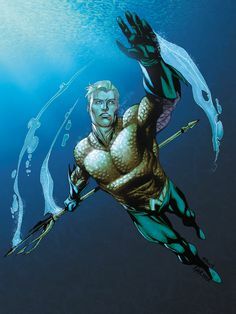 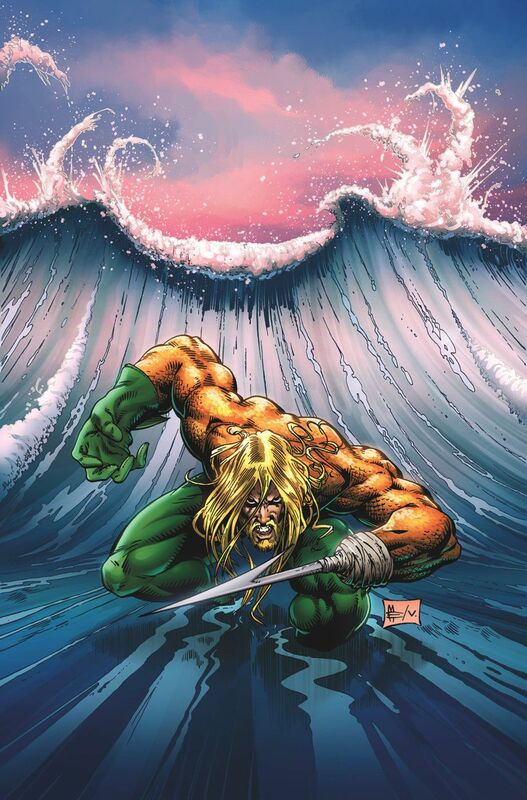 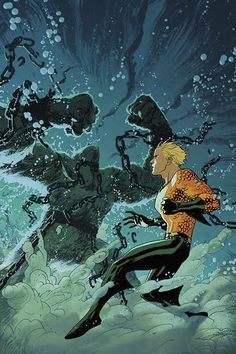 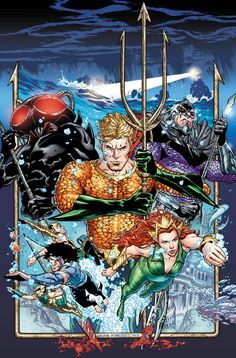 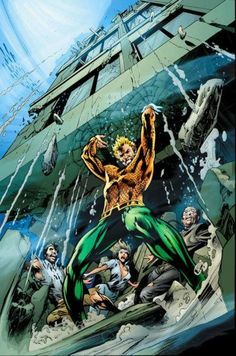 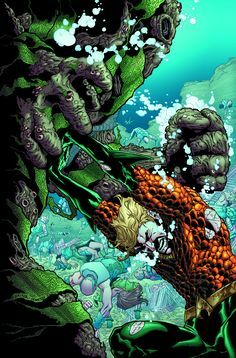 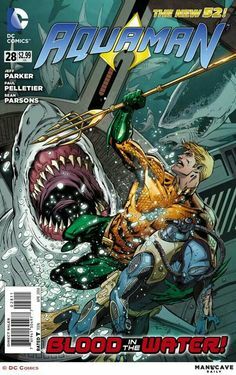 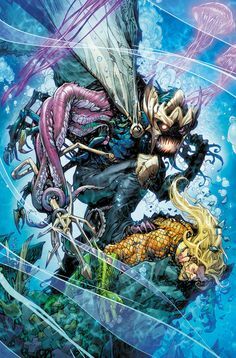 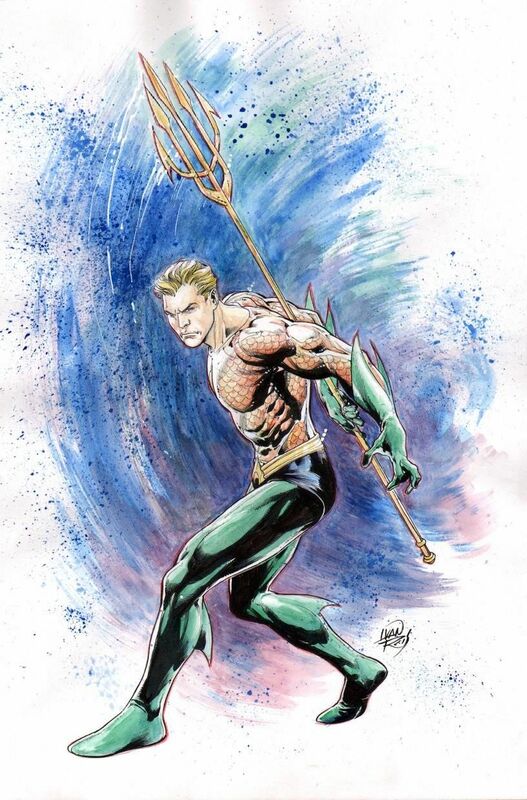 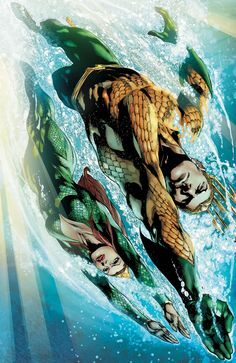 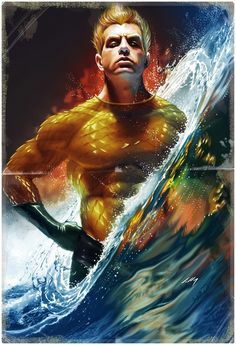 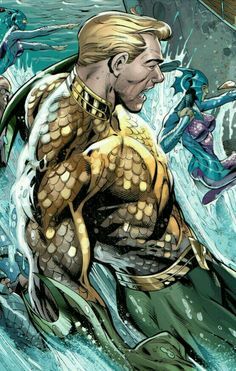 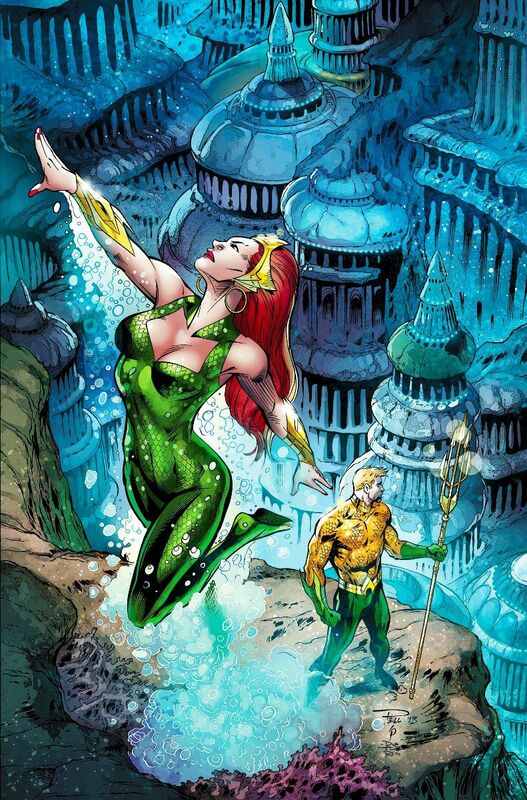 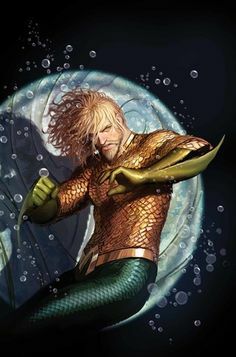 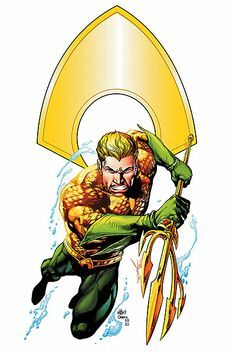 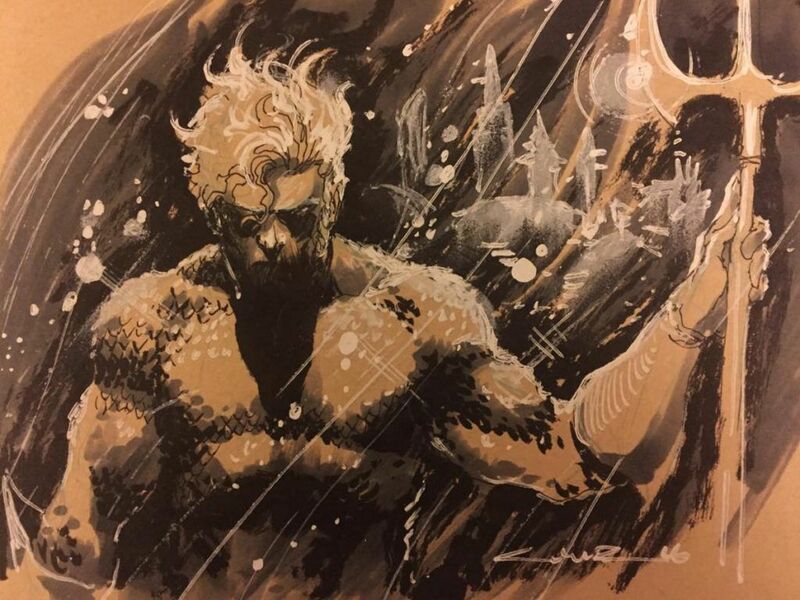 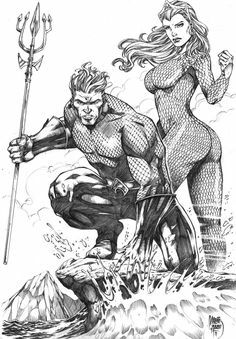 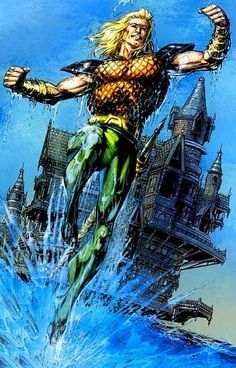 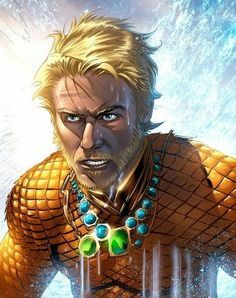 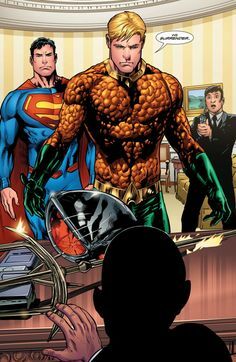 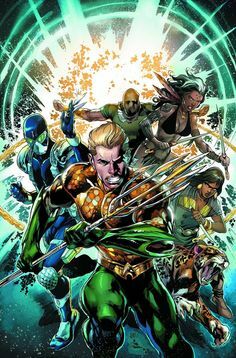 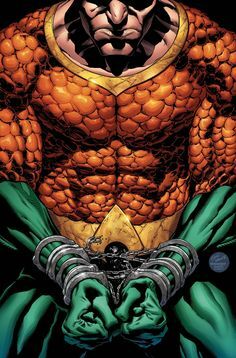 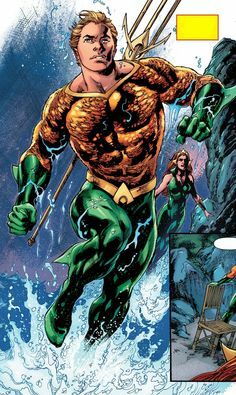 Aquaman by John Romita Jr.